Founded: 1927 by the merger of Company, Rand Kardex Company, and Powers Accounting Machine Company. Became Sperry Rand in 1955 after being bought out from Sperry Corporation. Specialty: Manufacturer of the UNIVAC line of mainframe computers in the 1950's. One of the biggest computer companies in the United States during the early 1950's. 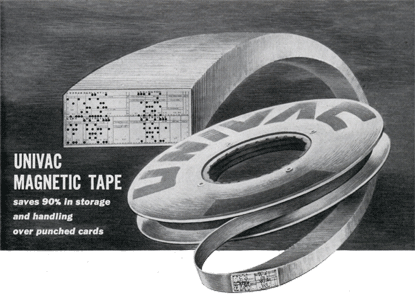 In 1951, the Remington Rand UNIVAC 1 (Universal Automatic Computer) introduced the use of reel to reel magnetic tape as a program storage medium. 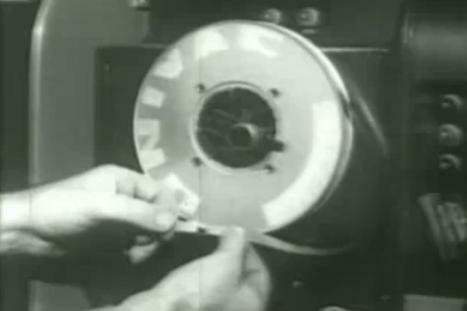 The tape was unique in that it was made of nickle-coated phosphor bronze. It worked but was quite heavy which caused wear on the tape read/write heads from the rapid passage of many feet of tape. The first UNIVAC 1 computer system was delivered to the US Census Bureau. Remington Rand eventually sold 46 machines at more than $1 million each. The UNIVAC 1 was the first "mass produced" computer, It contained 5200 vacuum tubes and consumed 125 kW of power when operating. Magnetic media (in the form of hard disk drives) is still used in the majority of modern computers even after more than half a century since it's introduction in the UNIVAC 1 computer. 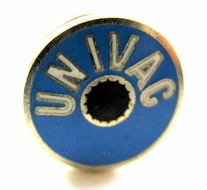 Metal with enamel coating Univac Tie Tack. 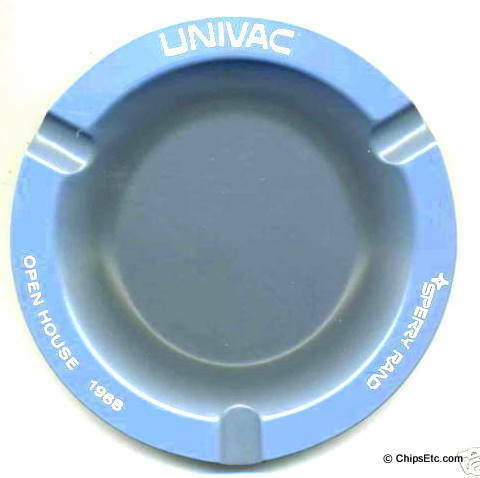 Item resembles a miniature version of actual UNIVAC "UNISERVO" magnetic tape drive reels. 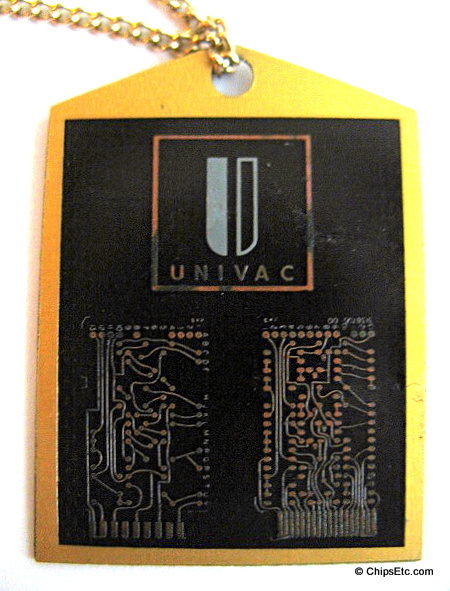 Gold Necklace pendant featuring two miniature examples of actual UNIVAC printed circuit boards that would have been used inside UNIVAC computers. 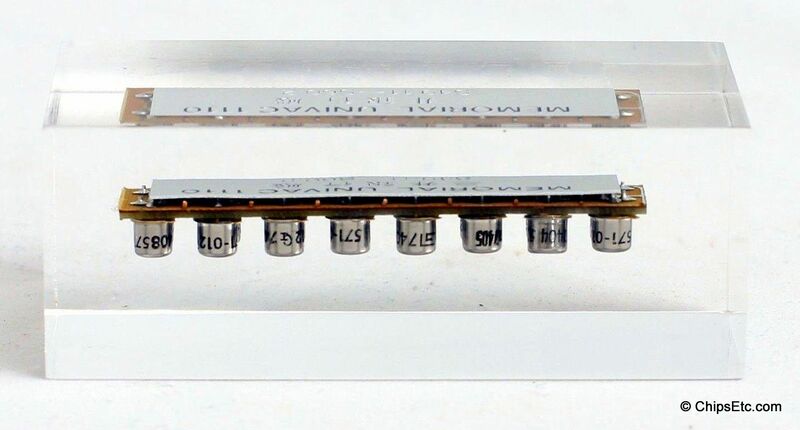 The actual circuit boards would have been populated with resistors and other solid state components soldered to the pads. Necklace Pendant is made from actual printed circuit board material with gold circuit traces, and is mounted in a gold plated frame, comes on a 17" gold tone chain. Features the UNIVAC symbol & name on the front, in silver. The UNIVAC UNIMATIC "Uniscope" model 300 was advertised as a Visual Communication Terminal, made by Sperry Univac and designed to be an integral device for a computer communication system. The Uniscope 300 terminal had a 61 key keyboard capable of 80 characters per minute input and a 1024 character 10" x 5" flicker-free video display. The terminal was capable of communicating via standard phone lines to remote computer systems. It had a broad range of users including banks, schools, utility companies, transportation and travel industries, insurance companies, and even government usage. 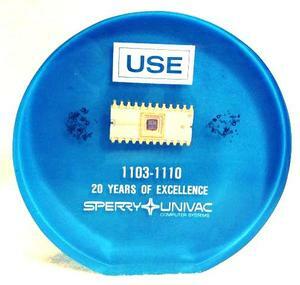 A Uniscope control unit was also offered by Sperry that allowed from 2 to 48 Uniscope terminals to be networked together at one location. 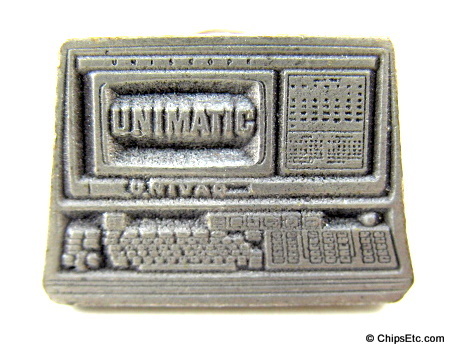 Pewter Unimatic lapel pin worn by Sperry salespeople to promote the Uniscope system. 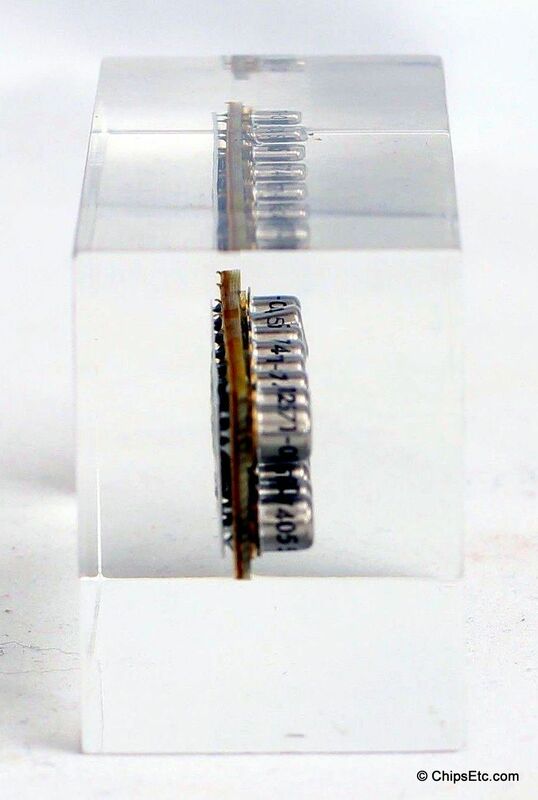 Pin is a miniature version of the UNIVAC Unimatic Uniscope Model 300. This dish is 5" in diameter and is made of metal with blue coating featuring white lettering around the rim. A souvenir for guests who attended the Sperry Rand UNIVAC open house in 1968. 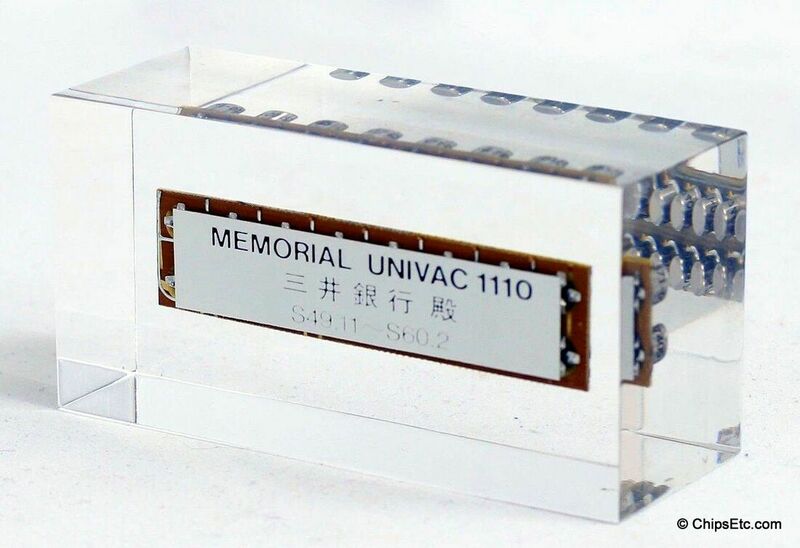 Lucite memorial paperweight features a section of PCB with transistors from a Japanese UNIVAC 1110 computer that was being retired from service. 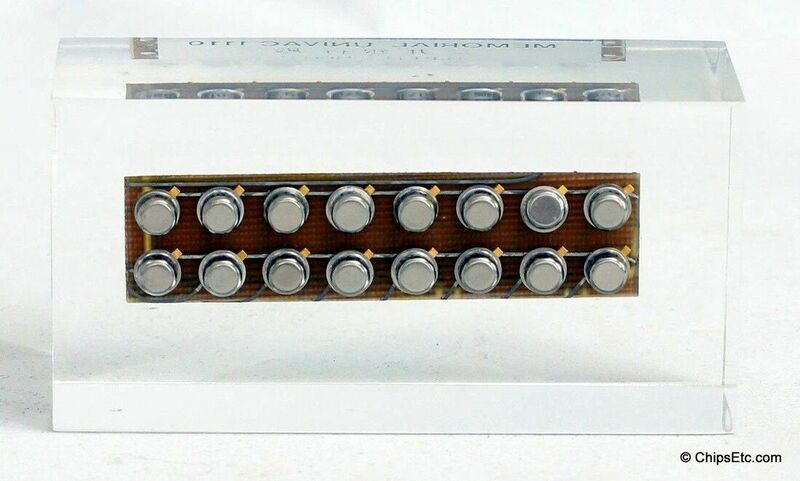 The 36-bit UNIVAC 1110 computer was introduced in 1970 and was the first computer to use Plated wire core memory technology, which eliminated ferrite core doughnuts and replaced them with magnetic plating at meshed wire junctions. 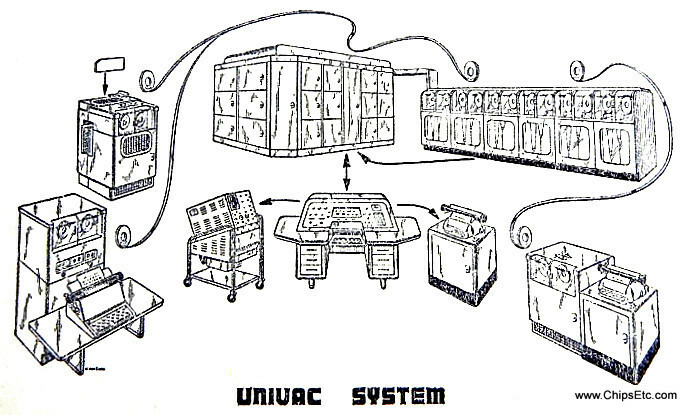 First customer delivery of the UNIVAC 1110 was in 1972. 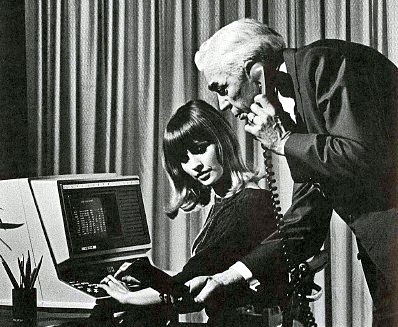 It was comparable in performance and pricing to the IBM 370 computer at the time. In 1972, Japan's largest power utility, Tokyo Electric Power Co., ordered a UNIVAC 1110 computer. 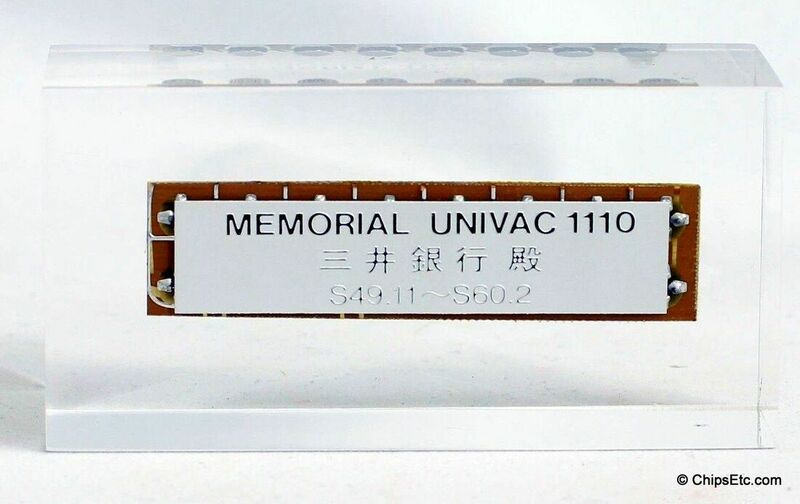 Nomura securities Co. ltd. of Japan ordered a Univac 1110 computer to be used as the center of an integrated information complex in May 1973. In 1974, in an effort to better compete with the big U.S. computer manufacturers like UNIVAC, Burroughs & IBM, Japan's Ministry of International Trade & Industry reorganized Japan's six computer manufacturers into three groups; Hitachi / Fujitsu, Nippon Electric (NEC) / Tokyo Shibaura Electric (Toshiba), and Mitsubishi Electric / Oki Electric. Paperweight reads "Memorial UNIVAC 1110, S49.11 - S60.2". New unused condition, Measures 3" wide x 1.5" tall x 1.25" thick. 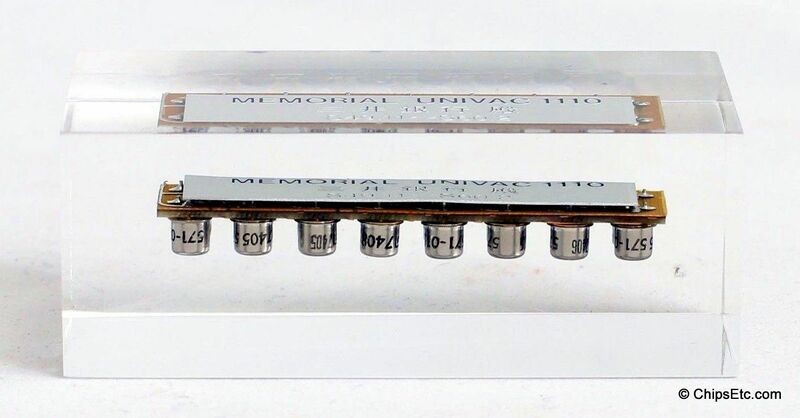 Lucite paperweight from Sperry UNIVAC features examples of the core memory and Integrated Circuit technology that was progressively used in there 1100 series computers during the 1950's to the 70's.